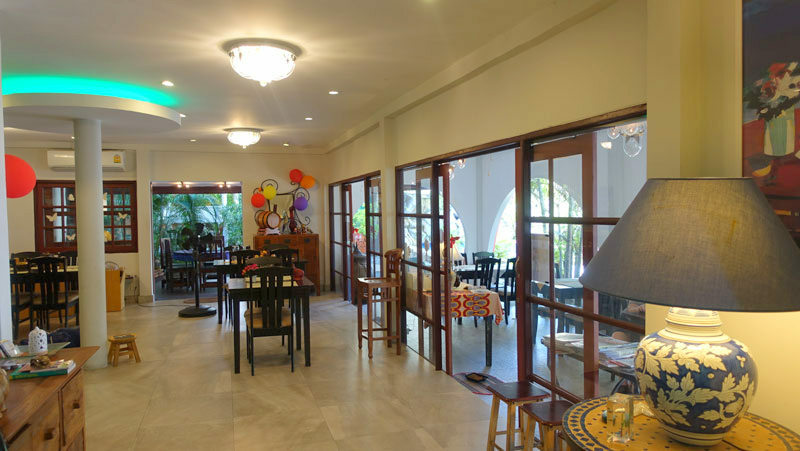 This is a multi-purpose property that is established as a restaurant plus private residence but can serve as a private house with or without guest accommodation as well. It`s the top location that is the main attraction here. A plot of 600 m2 that will always create money and stay valuable. 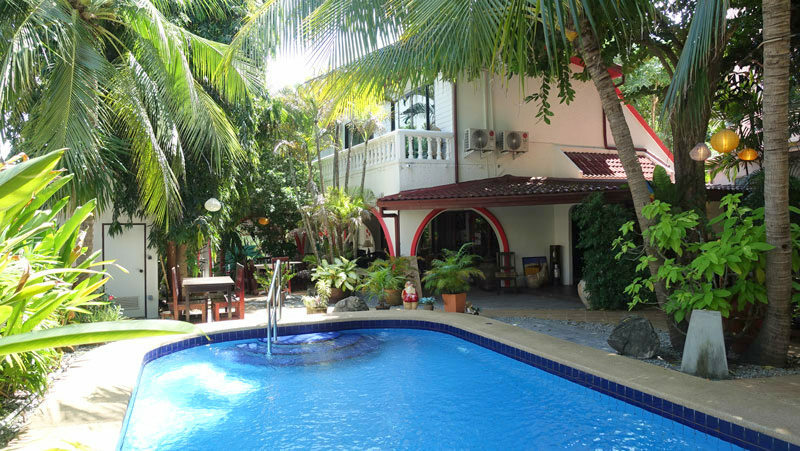 Just 5 minutes to Jomtien or Pratumnak beach, vibrant walking street or Thepprasit road. 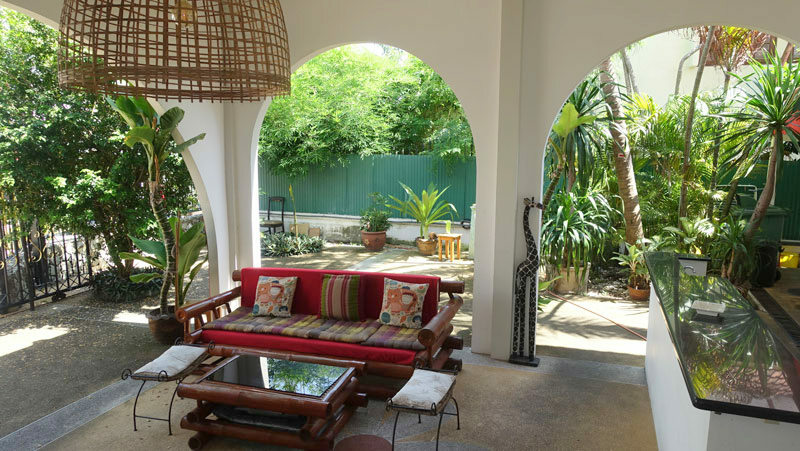 The property consists of a two story building, tropical gardens, a lovely pool with a waterfall, large covered terraces, balconies and lots of in- and outdoor space, a gastro-kitchen (to be completed) and more. 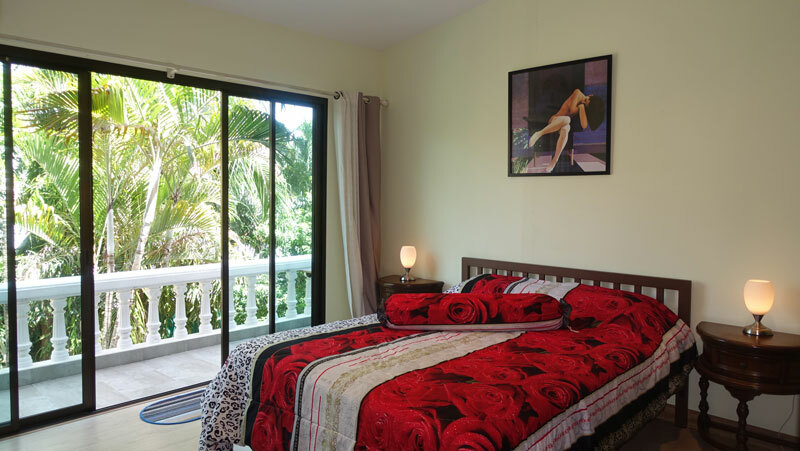 Three of the bedrooms are upstairs. They are modern and have their chic en-suite bathrooms. They are all connected with a long and wide balcony overlooking the property. A terrace to the backside is there too. On the ground-floor, there is this huge main indoor restaurant space and the kitchen - that needs to be further equipped - in the background. There is another small room that can be used as a bedroom and a large storage area/kitchen that can also be transformed to bedroom Nr. 5. A small office to manage the place is there as well. Then the large covered terrace hosting several dining-tables. 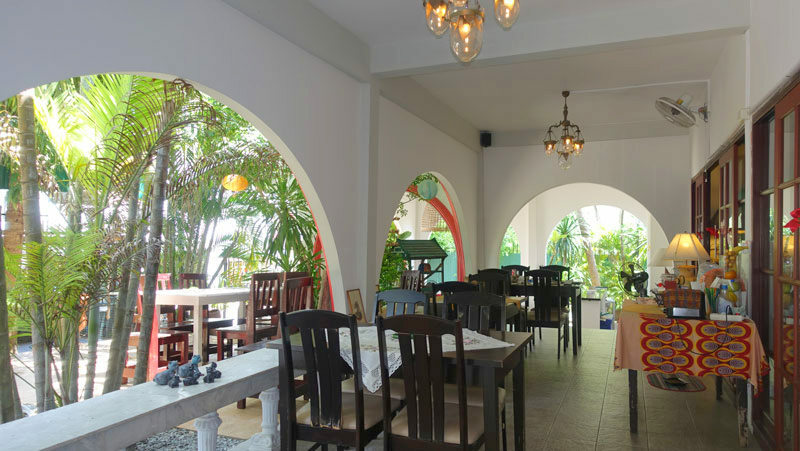 The owners have invested 7 Million Baht in upgrading and renovating the property to be a chic and romantic restaurant. There are a total of 7 air conditioners and CCTV surveillance cameras are there. Besides the covered carport, several cars can park in front of the property. A real top location for any tourism related business or for a private house, perhaps in combination with a commerce. 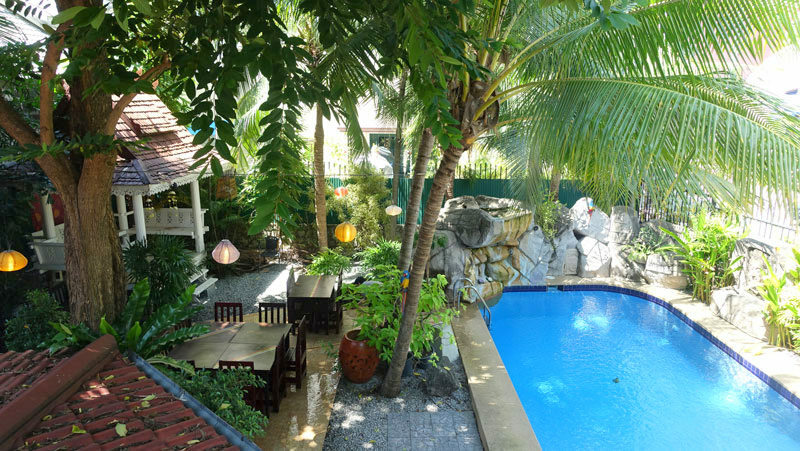 Located in a residential neighborhood, the property is barely a stone throw from the main road connecting Pattaya and Jomtien. 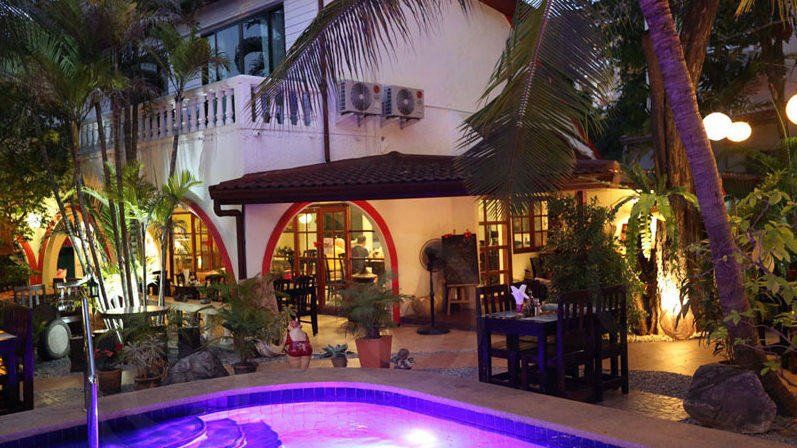 That`s a top location with the 24hrs Baht bus route feeding a stream of guests to any good restaurant. 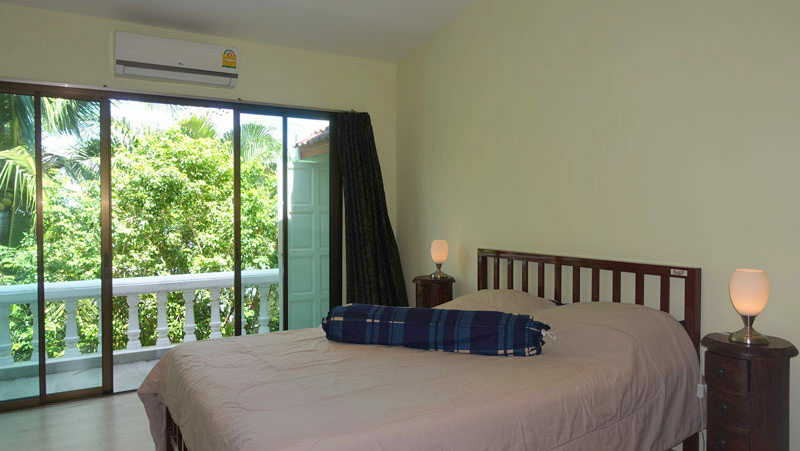 5 Minutes to vibrant South-Pattaya/walking street, the same time to Jomtien bathing beach, less to the airport bus and Thepprasit road that brings you to all desired directions. 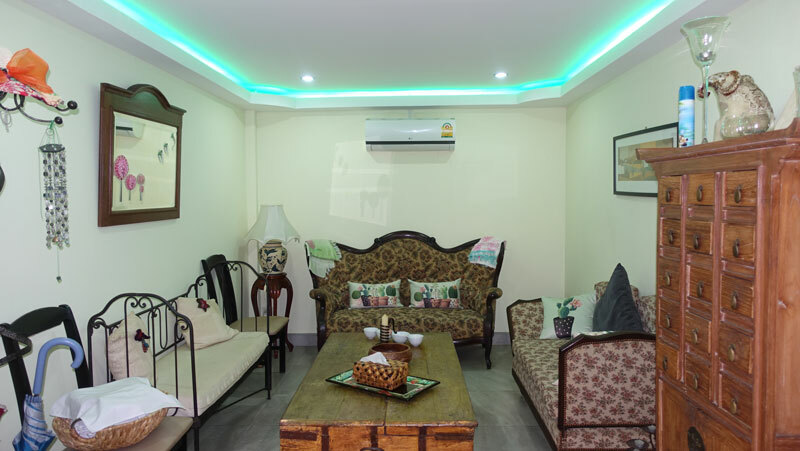 The property is sold with a well maintained Thai Co., Ltd. and all licenses such as for the sale of alcohol, cigarettes, music presentation and the restaurants are there and valid.